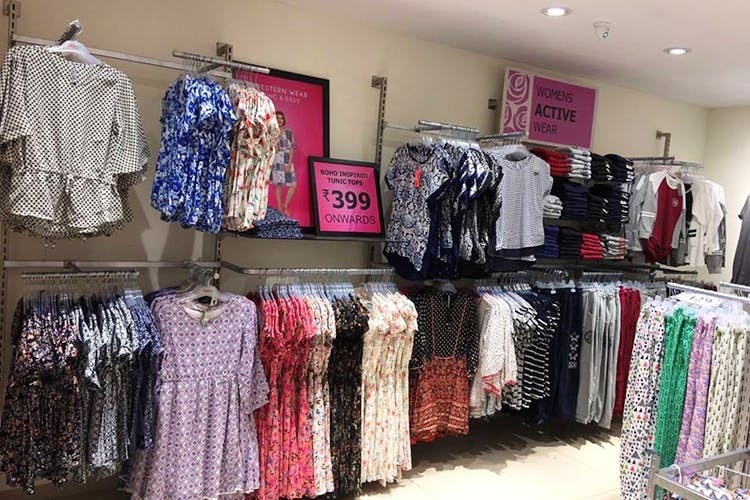 A Landmark Group initiative, Easybuy is a retail store chain that’s offering trendy clothes in over a 100 different styles, all priced under INR 700. Bored of your wardrobe? Change it all up without emptying your bank account by hitting up Easybuy. A new retail format, the store’s setup is akin to other fashion retailers like Max and Westside, except they stick to an incredibly affordable price range and all their merch fall in between INR 69 and INR 699. Yep! We couldn’t believe it either. And just cause their price range is limited, don’t expect their product range to be the same. Kurtas, dresses, tops, jeans, trousers, shirts, shorts, you name it and they got it. We’re loving their long kurtas in funky prints that’ll pair very well with their flowy palazzos. Kiddos don’t miss out either as they’ve got knit frocks, woven tops, playsuits and overalls for the little ones to sport. And they’ve got bags and shoes that fall within that price range as well. We’ve got our eye on a cute sling bag with a floral print that only costs INR 399.